Introducing the all-new range of Diamond Audio HEX series amplifier, made for ultimate sound quality and performance. It features a 4 layer glass epoxy circuit board, top mounted controls, and a brushed copper look exterior, which make it great for a show car. Specs: 1200 watts RMS at 1 ohm. Dimensions: 363 x 195 x 51.5 mm. The Focal Power Symmetrics are amplifiers dedicated to music lovers but also to people in search for a true audiophile amplifier. Mono subwoofer amplifier. The PRS-D800 amplifier is another member of the Team Pioneer family. 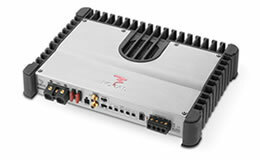 A more compact, more powerful and clear sounding Class-FD 2-channel bridgeable amplifier. 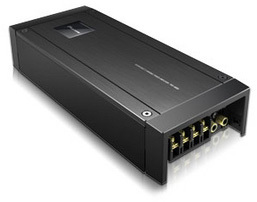 This amplifier contains audiophile grade components, and the slim design allows more installation options for those with tight and restricted space. Power output RMS: 2 x 150 watt (2 ohm) or 2 x 125 watt (4 ohm), or 1 x 300 watt (4 ohm).